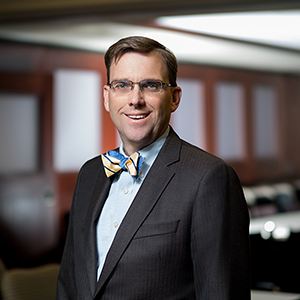 William (Bill) Hughes is an experienced litigator representing clients in federal white collar investigations and criminal defense, complex commercial litigation in the areas of cybersecurity, antitrust, fraud, intellectual property, commercial and shareholder disputes. With a background as an Assistant U.S. Attorney and Trial Attorney for the United States Department of Justice, Bill has a unique understanding of federal investigations and procedures. In his role as Assistant U.S. Attorney, Bill was responsible for litigating and investigating a variety of cases including: counterfeiting, bank robbery and theft, firearms violations, police bribery, assaults, narcotics cases - including Title III wiretaps and foreign extradition, money laundering, government loan fraud, credit card fraud, and criminal copyright and trademark infringement. He is also currently a Principal of the Porzio, Bromberg & Newman, P.C. law firm.